When we speak, the American Brass Quintet is in the middle of its Aspen residency, an annual commitment of eight weeks that is central to the ensemble’s annual timetable. Founded in 1949, the Aspen Festival is only eleven years older than the ABQ itself. 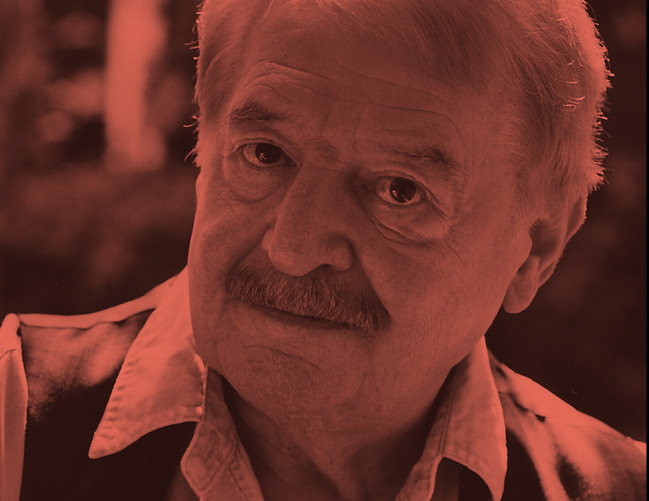 These days the Festival attracts 70,000 participants; in its own parallel development, the Quintet has performed over 150 world premieres and re-defined public perception of music written for brass ensemble. But while John Rojak and his colleagues work in ensemble and orchestral concerts, as teachers and as chamber music coaches in the former silver-mining town, their minds are on their forthcoming Australian tour. The ensemble has only toured Down Under once in its seven-decade history, and that was before any of the current members had joined. When they heard that the tour had been arranged, says Rojak, the mood was one of unanimous enthusiasm. After four decades of touring the world as part of a brass quintet, how can the musicians still find the energy to be thrilled about yet another destination? 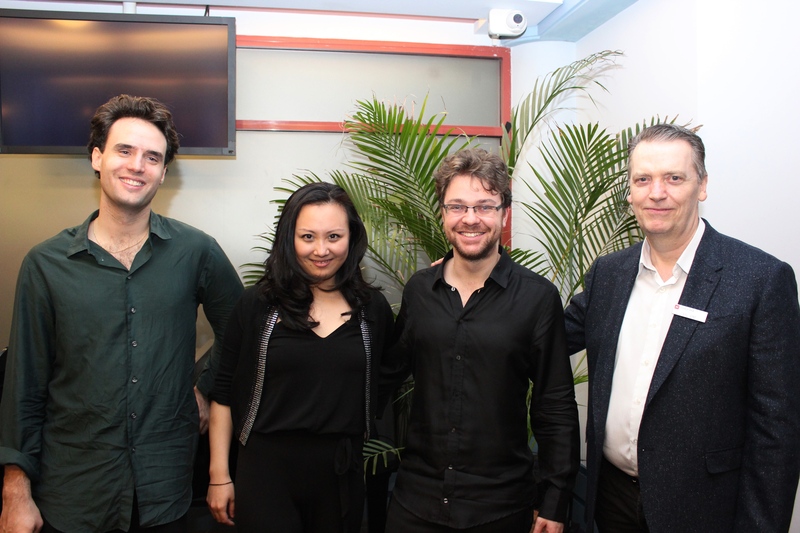 Together with Musica Viva (“Somehow they knew all our repertoire, which I guess is flattering…”), the Quintet put together two programmes for the Australian tour. Both feature a broad range of repertoire, from Renaissance to contemporary. One programme features Ludwig Maurer’s 1880s “Five Pieces”, an example of the rare “in-between” works. The players’ favourite work on any given programme tend, he says, to be whichever piece they are playing at that moment. To explain the origins of the ensemble’s repertoire, Rojak refers to Renaissance Venice. The wooden cornetto, which was leather-covered and sported a trumpet-like mouthpiece, was the ancestor of today’s trumpet, and surpassed the violin as the virtuoso instrument of the day. “There was a lot of music written for unspecified instruments, but there was also a lot for two cornettos and three sackbutts,” Rojack explains. “There was Anthony Holborne and Thomas Morely in England, Giovanni Gabrieli and his uncle Andrea Gabrieli in Italy. And they had many students, including the Germans Heinrich Schutz and Erasmus Widman. As with any period, once something catches on, everybody does it. “There were no formal concerts in the way we have them now. There was a lot of church music, and also secular music. If you were royalty, you had your own set of musicians as part of your staff. Knowing each other as well as they do, says Rojack, means that the players are able to operate with a high level of trust in one another, leave certain things unsaid in rehearsal, and concentrate on subtleties. That has a great deal to do with the ability to listen, something each player developed in a different way. In his case, he maintains, it comes from having an outspoken family. The ensemble’s commitment to teaching, a key aspect of their Aspen residency, is something it carries along on every tour. “Most of our touring includes masterclasses; it’s very seldom that we’d just go and play a concert. 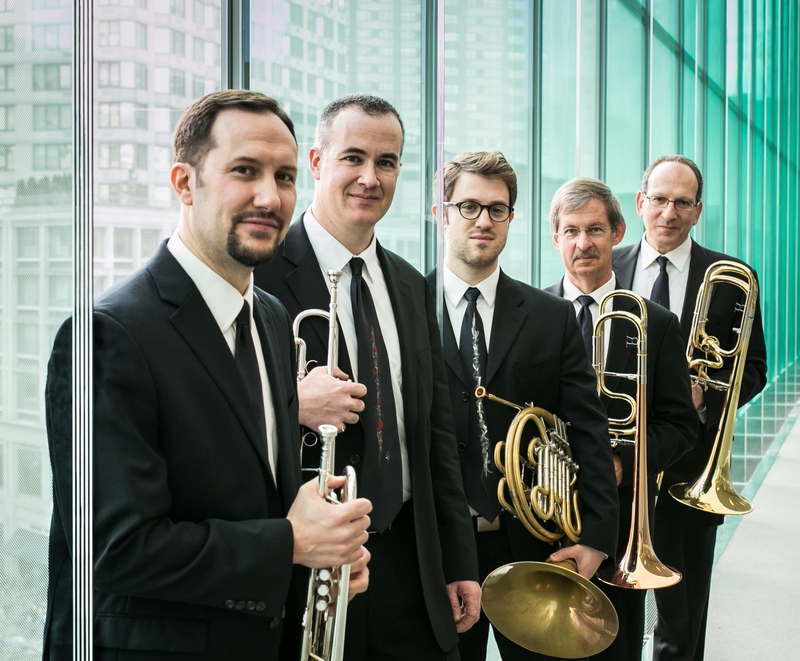 The American Brass Quintet was founded with a commitment to playing only music written specifically for brass instruments (or for unspecified instruments in the case of some historical repertoire). That continues to define the ensemble in the context of an increasingly diverse brass ensemble landscape. “We have a great wealth of repertoire; we don’t play transcriptions. We’re also defined by our sound. There is always something slightly visceral about hearing brass. The sound gets into your bones. We hope that people will experience a sense of wonderment at how people could write music for this combination of instruments and get such intricate results. I first met up with the Sitkovetsky Trio early on Wednesday morning in Sydney. Their maiden appearance in Australia, the first concert of their national concert tour for Musica Viva, was in Newcastle the following night. Violinist Sasha (Alexander Sitkovetsky) had only landed in Australia the previous evening, but they weren’t going to waste any time getting stuck into the tour repertoire, and particularly into my new piano trio, The Village, that nobody in the world had ever played before then. As with most of the artists appearing for Musica Viva, jetlag is an inevitable feature of the start of every tour, with a variety of home remedies and “travellers’ tips” (most of which don’t work) being tried out in the process. Cellist Leonard Elschenbroich had landed two days earlier, so was nearing the worst of that unstable phase where metabolism tries to rotate night into day. Pianist Qian (pron. “Chen”) Wu seemed as bright as a daisy, while Sasha philosophised that, as the father of a new baby daughter, he had forgotten what sleep felt like, so didn’t miss it. He appears to have been correct. I was to leave them alone to rehearse for four hours before they would let me hear my new trio. It turns out that they continued working through until 9pm that night, with Leonard taking advantage of the quiet solitude to practice on his own until after 10pm. These musicians are serious! I returned at 1pm and we spent 90 minutes thrashing out all the mistakes in the score and the individual printed parts, and correcting some of the simple misunderstandings that inevitably accompany first readings of new music. At this stage it was hard to tell exactly how well the composition would flow, or whether any of the experiments in material, texture and architecture that I had tried for the first time in this work, would actually work in real performance. I left them alone to continue acclimatising and working through their demanding tour program. I didn’t see them again until the following afternoon, before their debut concert. I had just delivered a seminar on my still non-existent piano trio to keen and attentive students from the Newcastle Conservatorium, the wonderful auditorium of which was the venue for the evening’s performance. The Sitkovetskys arrived at 4:30pm, ready for their last two hours of preparation. They played through my composition almost without flaw, and with a sense of organic flow and development that I hadn’t dared hope for. When they played it for real, to a paying audience a few hours later, it had become a living piece of music that, it seems, had really touched the players and could connect with listeners who had no idea what they were about to hear. This was a stunning experience that every composer hopes for, and should live to experience. At the end of a rapturously received concert, the group came back on stage for one of our trademark “Meet The Artists” sessions, for which about 50 audience members remained, armed with a bevy of fascinating questions. But the players’ evening still wasn’t over, being then whisked away to one of the post-concert suppers that have become legendary, and unique to, the highly dedicated Committee of Musica Viva Newcastle. Committee members had piled tables high with great food, and we were swamped with excellent wines from Huntington Estate, while a dark chocolate birthday cake materialised from nowhere to celebrate Leonard’s birthday the following day. (The trio themselves had forgotten all about this, but our canny Operations team triple check EVERYTHING when they secure work visas). We all got back to the hotel, overlooking picturesque Newcastle Beach, a little before midnight. I had to remind myself that two of the trio had, at that point, only been in Australia for not much more than 48 hours, and had spent at least 16 of those in deep rehearsal. Someone suggested that they meet early the next morning for a quick dip in the surf. I went to bed, confident that, as they flew to Melbourne the next day to continue the rest of the tour, youthful energy and innate brilliance would make this a completely memorable sequence of appearances in Viva’s 2014 concert calendar. For more information on the Sitkovetsky Trio, and to book your tickets, please visit musicaviva.com.au/sitkovetsky, or call 1800 688 482.